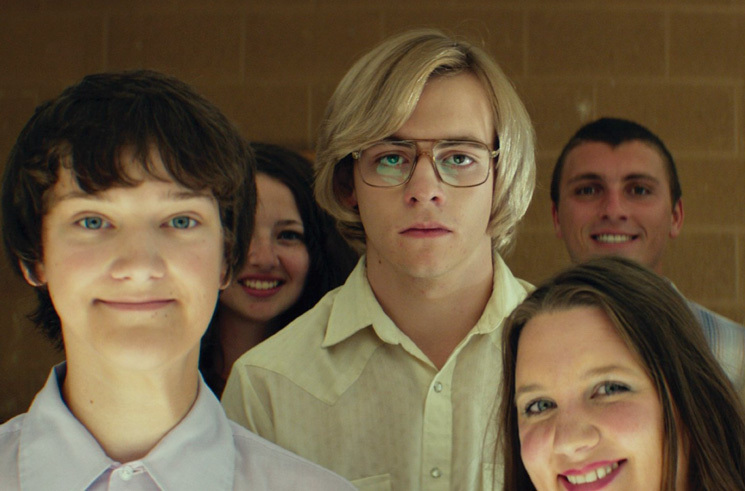 My Friend Dahmer, Marc Meyers' film adaptation of the graphic novel by John "Derf" Backderf, recounts the experience of going to high school with one of the world's most notorious serial killers. It's a portrait of a person slowly retreating inwards into his own personal hell, turning away from anything that could have helped save him. The film is careful not to suggest that Jeffrey Dahmer's horrific crimes were anyone's but his own — the mental illness was there from the start — but we are presented with the factors that caused it to fester and grow: his uncaring parents, too caught in the grips of a messy divorce to notice something is seriously wrong with their son; a dangerous crush during the "gay panic" of a society gripped by homophobia; a group of cool geeks who ironically worship Dahmer (played, in an inspired bit of casting, by Disney Channel actor Ross Lynch) as an absurdist mascot, then shun him when they realize that their "idol" is more disturbed than they could ever imagine. Lynch disappears into the role, inhabiting Dahmer's sloping, arms-pinned-to-sides walk as described by Backderf in his graphic novel. The film moves at a slow, meditative pace that may alienate some viewers interested in the more lurid details of Dahmer's murders, but it's still a fascinating look at the unravelling of a young man as he gives in to deep internal darkness.